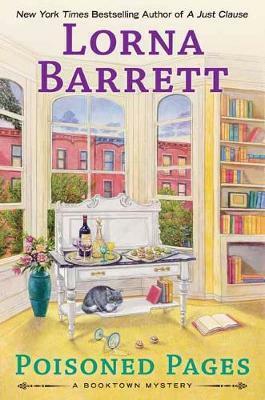 Mystery bookstore owner Tricia Miles learns that nothing kills a good party like a murder in the latest entry in the New York Times bestselling Booktown Mysteries. Tricia Miles, mystery bookstore owner and amateur sleuth, throws a housewarming cocktail party in her new apartment and has cooked all the food by herself--quite a feat for someone who previously couldn't boil water. Then one of her guests is poisoned and dies. Tricia's left to wonder if her cooking is to blame or if there's something much more sinister at play. Either way, Tricia's once again in hot water with her ex-lover, Chief Baker. Meanwhile the charming town of Stoneham is being disrupted by a vandalism crime wave. It's the hot topic in the race for Chamber of Commerce president which sees Tricia pitted against two bitter rivals. With all that's going on can she find the killer before she's the next item on the menu?